Tic tac toe! It’s a simple game that people can play almost anywhere! 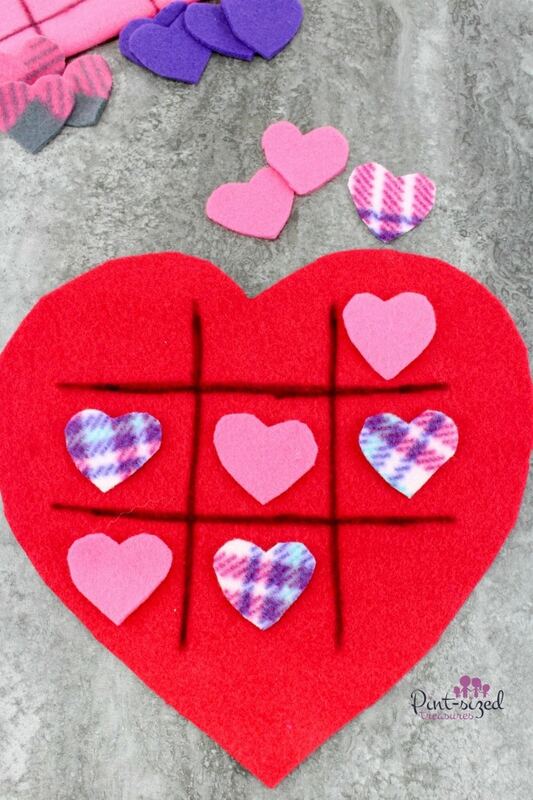 We’ve added our own fun, felt version that’s overflowing with hearts for Valentine’s Day or ANY day! If you love hearts like we do, you’ll love our Heart Zap Game and our Conversation Hearts Memory Game! 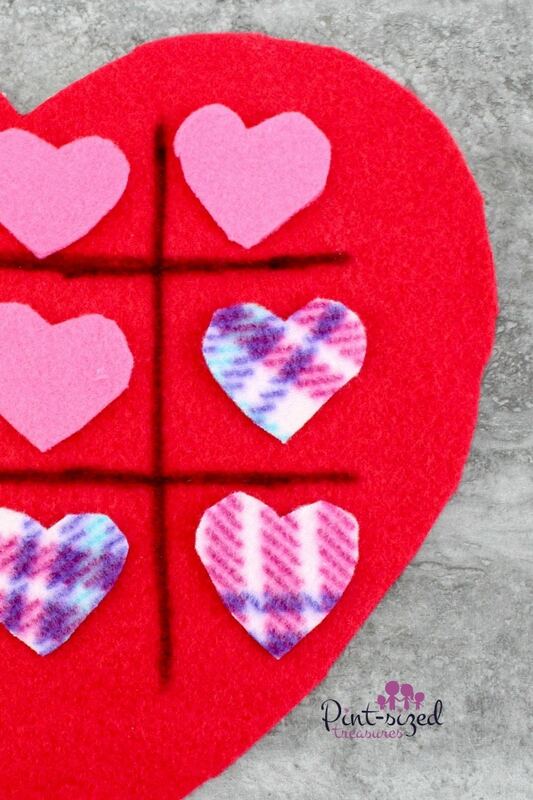 If you want some Valentine’s day treats to enjoy while you’re playing Tic Tac Toe, then you’ll love these Heart-shaped Rice Krispie Treats and these Bee My Valentine Cakes! And because this DIY felt game is so simple to make, you’ll have time to make a simple snack! Is your family constantly on the go like ours? Then you can tuck this game into a storage bag and pack it for some simple fun on the road, in the library or at a doctors’ office. It’s always awesome to have a quiet game or two planned for those situations! 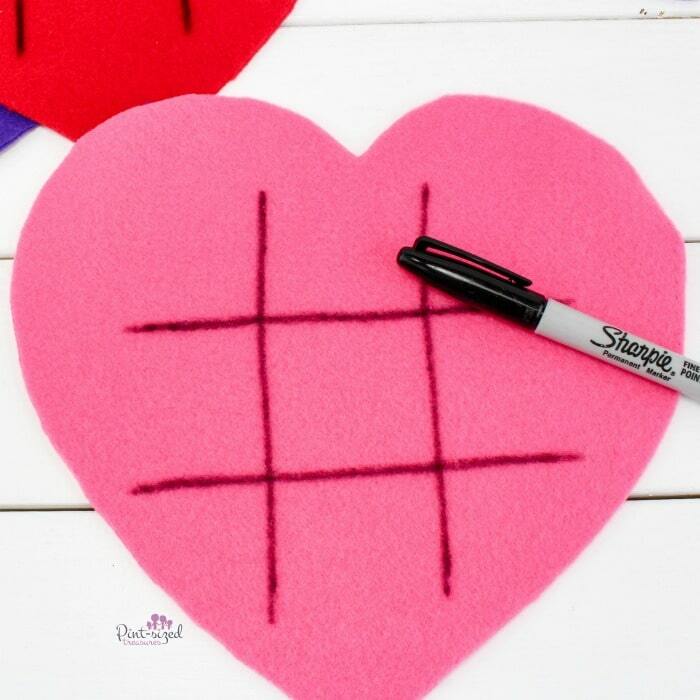 This felt game is perfect for our big family because everyone can have their very own Tic Tac Toe board. 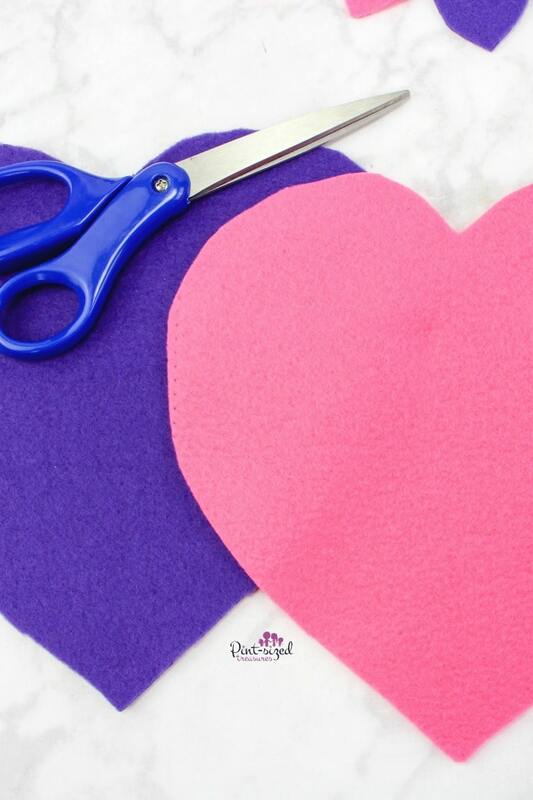 Because of all the colors available in felt materials you can have yellow hearts, pink hearts, red hearts, purple hearts, green hearts and even each colored hearts! Want to know the secret to cutting felt and it actually looking good? You should have seen my felt cutting skills about ten years ago. My projects were so bad even the Vacation Bible School at my church decided not to use the crafts I made because of my awful felt cutting skills….yikes! Can you make this game work for a classroom? you can break up your class into groups of fours and have them play matches. After two matches, they can have the two winners from both matches play each other for a championship of Tic Tac Toe. Then, you take the winners from the small groups and have them play for the ultimate championship game. A classic game with a Valentine’s Day twist! Have fun with this one! <3 Instructions are below! Cut 3 large hearts out of 3 pieces of the fleece. Reserve a little bit of extra to cut 5 tiny hearts out of each of these colors. Cut 5 tiny hearts out of each of the other 3 pieces of fleece. 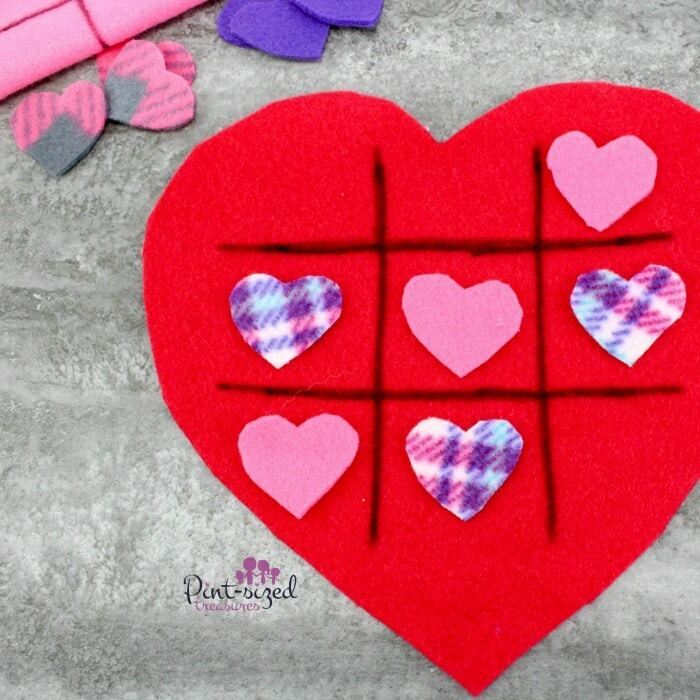 Use the black marker and draw a tic-tac-toe board on each of the 3 large hearts. Have fun playing endless games of tic-tac-toe!